Augustin Mawangu Mingiedi, Bandleader Of Konono No. 1, Dies At 56 : The Record Mawangu became Konono No. 1's leader after the 2015 death of his father, who founded the long-running Congolese band in the late 1960s. 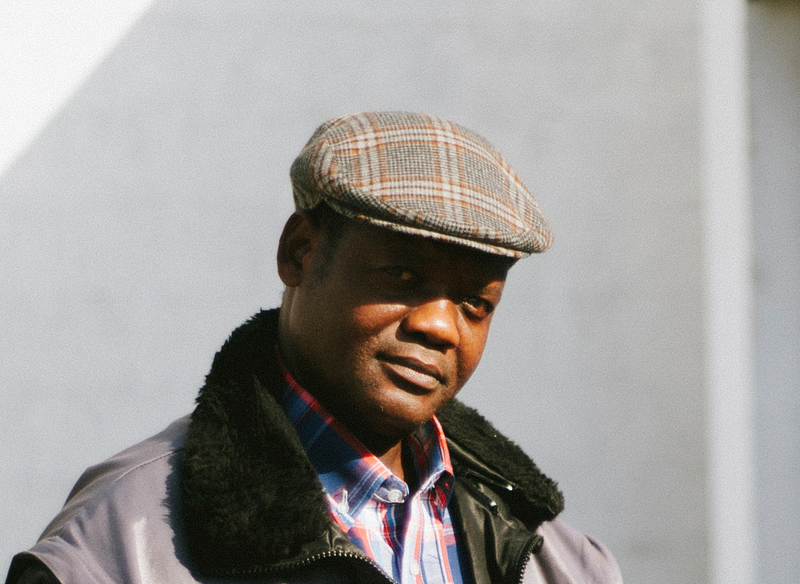 Augustin Mawangu, bandleader of the Grammy-winning Congolese band Konono No. 1, died on Monday, Oct. 16. Augustin Mawangu Mingiedi, leader of the Congolese group Konono No. 1, died on Monday, Oct. 16 after a months-long illness related to complications from diabetes, a representative for the band confirmed. He was 56 years old. Konono No. 1 was founded between 1965 and 1968, by his father, Mingiedi Mawangu. After the elder Mawangu's death in April 2015 at the age of 85, Augustin Mawangu Mingiedi became the group's leader. Now a third member of the family, Augustin's son Makonda, will take the reins of the celebrated group. "We are devastated," the band wrote. "But Konono No. 1 are indestructible." Augustin's instrument, like that of both his father and his son, was an amplified version of the likembe, a handheld instrument sometimes referred to as a "thumb piano" (and also known elsewhere as the mbira or karimba, among other names). It is played by plucking metal tines connected to a resonator board. Mingiedi Mawangu electrified the instrument using found parts, yielding a mesmerizing distortion that Westerners compared to the sounds of experimental rock and electronic music. "At the beginning, my father went very often to collect car parts like springs, wire, metal discs, old car alternators, magnets ... all that sort of stuff, as well as the wood, which he used to make the likembe," Augustin told the BBC in a 2015 profile. Only decades after the group's founding did it release its first album, 2004's Congrotronics, recorded in Kinshasa for the Belgian label Crammed Discs. It was the result of a long search by Belgian producer Vincent Kenis, a zealous fan of Congolese music who first traveled to the country in 1971, making regular trips there over the following three decades. "Only in 2000, I found a Konono fan club," he said in a 2006 interview with Afropop. "I left a note." In that same interview, Mingiedi Mawangu said of Kenis' search: "Konono was playing in villages in different places, and parties for a long time. That's why Vincent couldn't find me. We didn't stop. We kept playing. But you had to know where we were, exactly where we were playing. Even if you asked people, they wouldn't tell you. You had to know my address." In a statement sent to NPR, Kenis wrote, "On the footsteps of his father the great Mingiedi, founder of Konono No. 1, likembe virtuoso Augustin Mawangu acted as a pionneer by enhancing the instrument's expressivity with electronic devices and new techniques, with stunning effects. His brilliant and bold playing, his stage presence, his humor and high spirits graced many projects .... It's a great honor for me to have worked with him." The release of Congotronics led to the group touring the world and collaborating with artists like Björk, on her song "Earth Intruders" from the 2007 album Volta. The attention culminated in a nomination for best traditional world music album at the 2007 Grammys for the group's record Live At Coleur Café, and a 2010 Grammy Award for best pop collaboration with vocals, for playing on Herbie Hancock's The Imagine Project. "To me," Augustin Mawangu told the BBC, "it's like you're planting seeds which are useful, and that everybody loves. It's like leaving a mark — it's a feeling of joy."